Happy National Tequila Day! 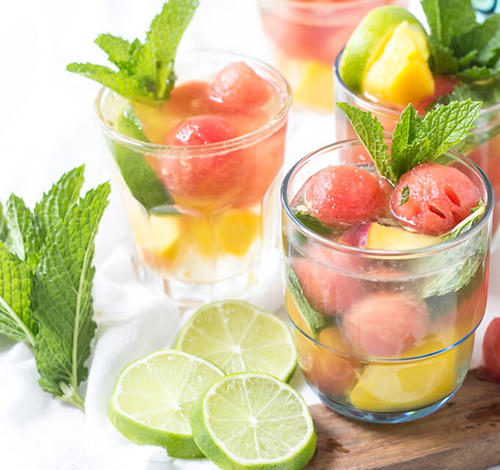 Wine lovers can also enjoy this holiday, by making this refreshing Sangria with an extra kick! We never need an excuse to drink wine, but add tequila to the mix and we’re ready to say pass the salt! Enjoy this recipe, originally featured on Wicked Spatula. Place the mint and tequila in the bottom of a pitcher and muddle with the back of a wooden spoon until the mint is fragrant. If using the honey stir it in and then add the remaining fruit and wine. Chill for at least 4 hours or up to 24 hours to allow the flavors to meld. To serve add a splash of chilled club soda.